One boat’s engine failed later that day and the other began to deflate, it quoted a survivor as saying. Some survived by clinging to floating wreckage. A survivor told MSF that “European rescuers” had come by aircraft and thrown life rafts, but migrants remained in the water for hours. 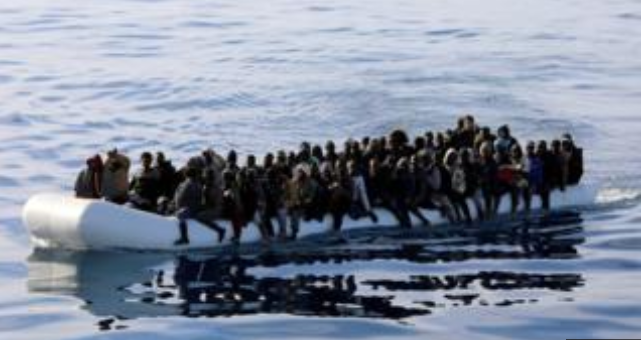 “On our boat, only 55 people survived. Many people died, including families and children. They could have been saved if rescuers had come earlier,” MSF quoted the unidentified survivor as saying. Sudanese, Malians, Nigerians, Cameroonians, Ghanaians, Libyans, Algerians and Egyptians were among those on board the wrecked vessels.